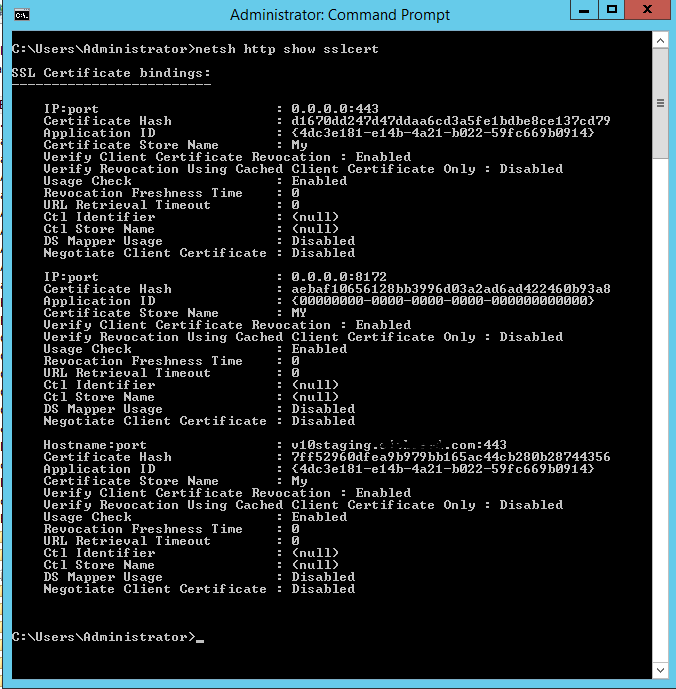 We have an IIS ARR server which load balances out to two different individual IIS servers. The servers in question are our internal Staging servers. Three months ago I created a free Let's Encrypt SSL Cert to use on these servers. As is the case with Let's Encrypt, it expired after 3 months. So today I got around to creating a new cert, and I replaced the old certs on the ARR server and both load balanced servers. After doing that, and then going back to the site in any browser (including incognito mode), it's still showing the old invalid cert. I even went to the site on laptops that have never been to this site before just to see if the old cert was cached in my browser. Even those laptops loaded the site with the Not Secure warning. In IIS, on the server, open "Server Certificates"
Yet despite all traces of the old cert being removed, including deleting the actual file, no matter what I do, it loads in every browser (ie, chrome, ff) on every computer showing the old cert still. 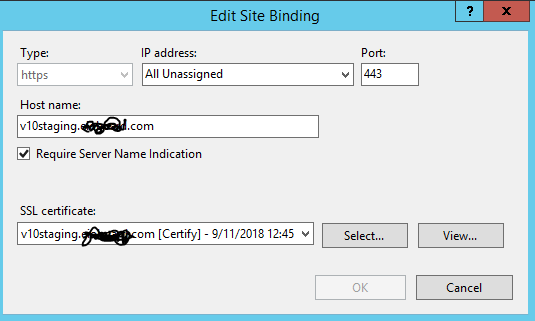 If your load balancer is taking the SSL offload then it will be the device that terminates the SSL connection and performs the handshake. You'll need to make sure the load balancer has the correct certificate. Like a lot of the other posts I read where people were having the same problem, the solution here ended up being (somewhat) unrelated to the install of the new SSL cert. Short answer: A reboot of all three servers (load balancer and actual content servers) was required. That seemed to finally clear the server's cache of the old cert. Long answer: One of the IIS content servers (not the ARR load balancing server) seemed to have a bad IP address. Meaning, the static IP address we had given it was apparently being used elsewhere on the network. This was causing the ARR server to only use the other content server. All of this caused weird problems serving the site in general (occasional 502 errors), which I was attributing to the new SSL cert, and it also made it hard to bring the entire site back online after a reboot. Bottom line.... the install of the new SSL cert was not the real issue. Once we solved the real issue, and after a reboot of all servers, the problem was resolved. Not the answer you're looking for? Browse other questions tagged ssl iis windows-server-2012 ssl-certificate iis-7 or ask your own question.